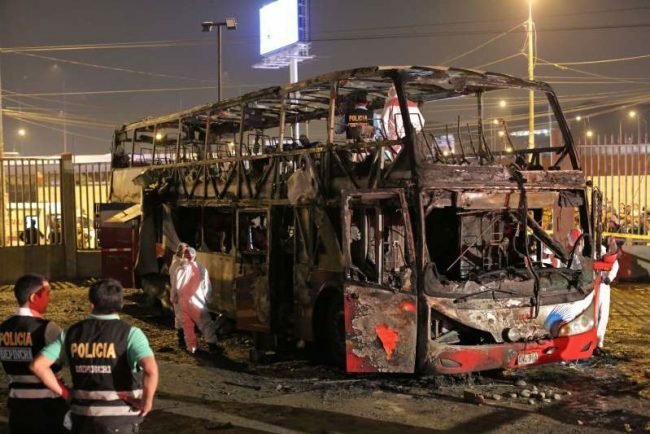 Mejia told television station N most of the dead were on the second deck of the burned bus, which was from the company Sajy Bus. The vehicle didn’t have fire extinguishers. It was reportedly an interprovincial bus heading to a northern city.